Fort Scott Community College is the place to start for those interested in pursuing a degree in math. Our 23:1 student-to-instructor ratio provides a quality learning atmosphere for our students. 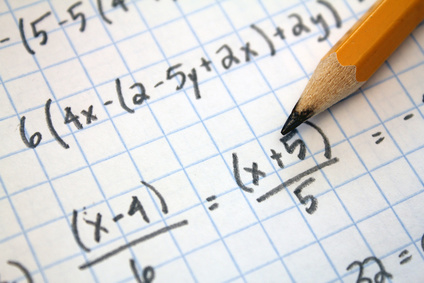 Students who complete college algebra should be able to apply algebra skills to everyday life and should be prepared for upper-level math courses. Lecture-based, question/answer format with paper/pencil tests. The career opportunities are endless for students who complete the calculus series; possible fields include engineering and science. For more information about career opportunities in mathematics, visit the Bureau of Labor Statistics website. Each year, FSCC hosts the Math Relays, a mathematics competition for area high school students. Students can compete in up to four of the ten math contests; three of the contests allow calculators. Every participant receives a math tag, and individual medals are awarded for first, second, and third place in each event for each grade level. First, second, and third place plaques are also awarded to schools.